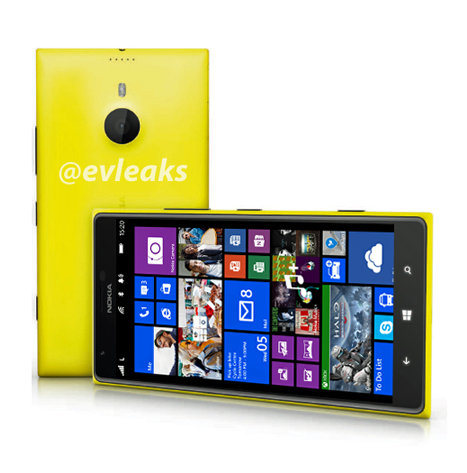 The Nokia Lumia 1520 is supposedly the first phablet like device for the company. We have seen various leaks for this device now and then, and the latest leaks for Lumia 1520 shows all the specs for the device. The Nokia Lumia 1520 is expected to have a 6 inch Full HD display with a resolution of 1080 x 1920 pixels(367ppi), the rumors also suggest that it will be an AMOLED display. The processor is expected to be a quad-core Snapdragon 800, clocked at the 2 GHz, which would make the Lumia 1520 the most powerful Windows Phone ever, coupled with its 2 GB of RAM. Sources are claiming also a 64 GB variant, which seems unlikely if we are going to get a microSD slot as well. The device is expected to sport a 3400 mAh battery and run on Windows Phone 8.1 OS, Lumia 1520 is rumored to feature a 20.7 MP camera with Carl Zeiss lens, improved Panorama and optical image stabilization. The Nokia Lumia 1520 phablet is expected to become official on October 22 at Nokia World in Abu Dhabi.